Bernd Osterloh believes VW should look beyond contractual obligations when it decides on managers' bonuses, a report said. 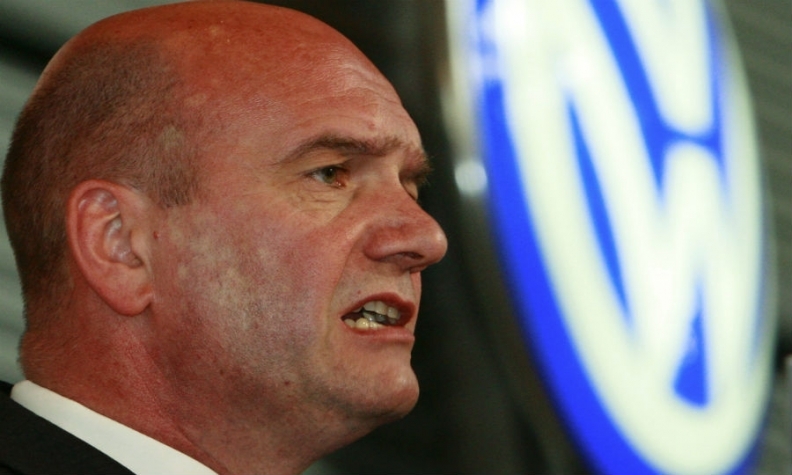 FRANKFURT -- Volkswagen Group's management board should volunteer to waive their bonus payments, the company's powerful labor chief Bernd Osterloh was reported as saying by the German daily Handelsblatt. The automaker should look beyond contractual obligations as it finalizes remuneration packages for senior managers this week, he was reported as saying. "It is also about morals," Osterloh said, according to today's report. VW has already said that top executives will have their 2015 bonus payments cut "significantly" as the automaker attempts to resolve an internal dispute over executive pay following the diesel-emissions scandal. Reuters has reported that the management board has accepted cuts of at least 30 percent in bonus payments. Lower Saxony, VW's second-largest shareholder, has already called for executive bonuses to be scrapped or cut as Europe's largest automaker counts the multi-billion-euro costs of the emissions scandal. VW's supervisory board will decide on the bonus cuts at its April 22 meeting. Compensation packages for executives will be published in the company's annual report on April 28, VW has said.